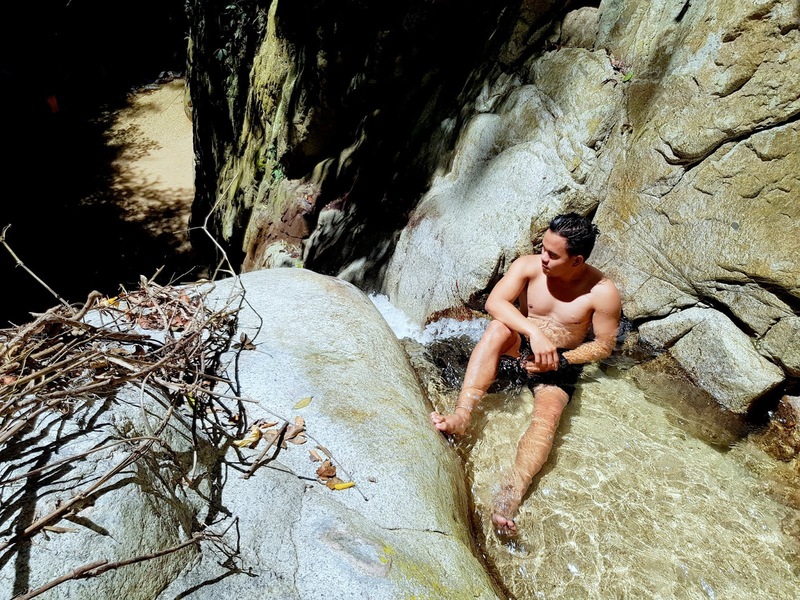 If you know Sand & Stars glamping experience in Dipaculao, Aurora then you need this waterfalls side trip as well. 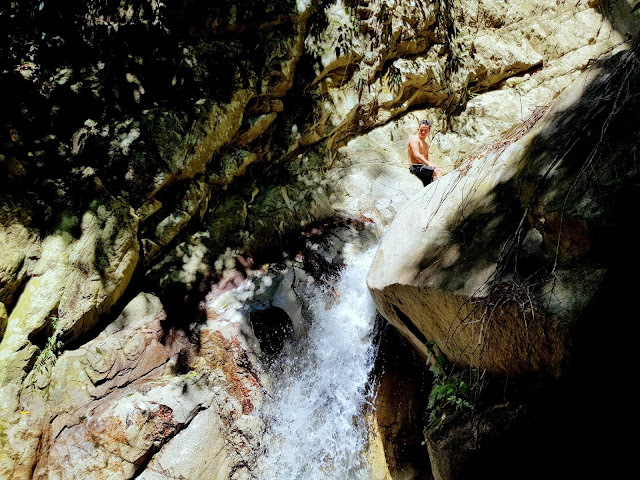 Presenting, the first documented blog about ALEMAN FALLS! Really, I haven't seen any blog about it, so here you go! Probably one of the off-beaten destinations in Luzon is the whole Aurora Province. Its 5-7 hours away from Manila. 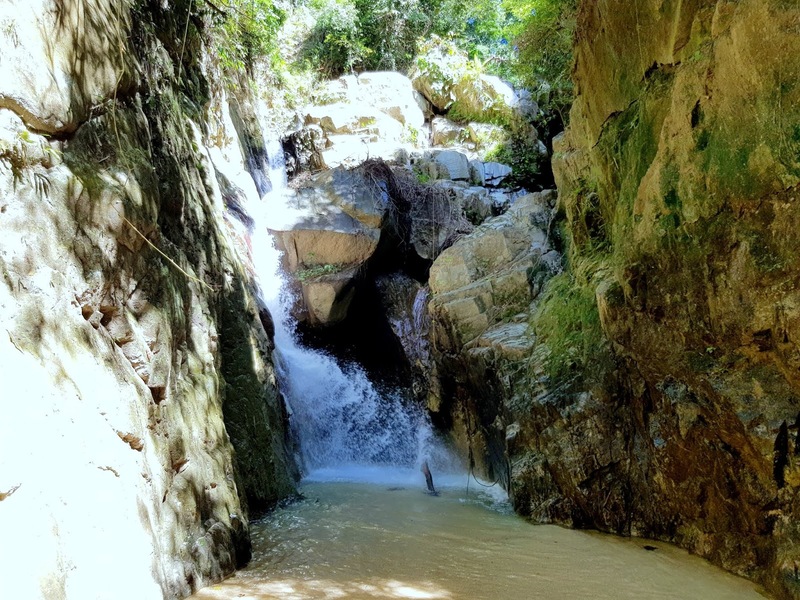 Due to the distance, few people get to explore the hidden spots of this province. When Sand & Stars came into the spotlight, many travellers were attracted to the idea of glamping. Glamorous Camping a.k.a. glamping has been a trend since 2015 with the rise of resorts offering such. If you arrive too early for your check in at Sand & Stars, you can opt to chase waterfalls. 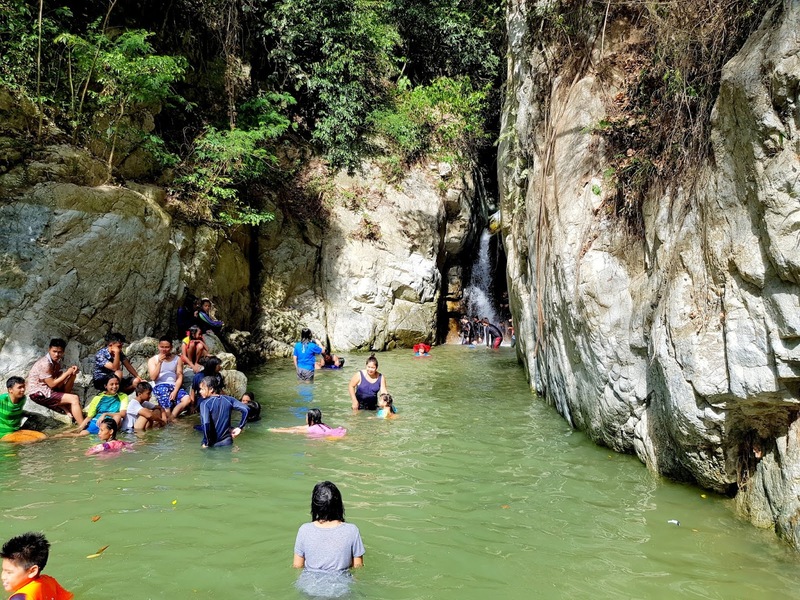 One of the popular destination is Panindingan Falls. Its easy access to the main road only about 5 minutes of walk with 10 pesos entrance fee. Its crowded on weekends since families drop by before heading out to the beach. Along the way you would see sign boards of waterfalls. Aside from Panindingan Falls, we saw signs for Baul Falls and Aleman Falls. We have chosen Aleman falls since our van can traverse the road, rather than the dusty and for tricycle only road going to Baul Falls. Warning though, the road will only bring you to the first river crossing, from there you need to go on foot. 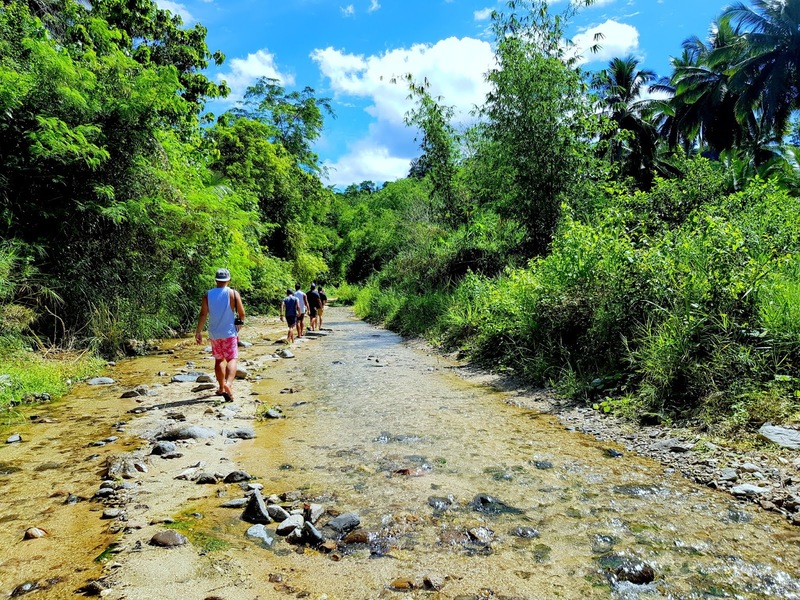 No houses can be seen after an hour of trekking and endless river crossings under the direct heat from the sun. If by chance you didn't encounter any houses at all, you better reverse back and take another turn. Ask the locals, they will gladly direct you. Just ask, "Ayna diyay Aleman Falls Manong/Manang?". About 1 hour or so in the trek, we felt it was a lost cause. It will be a bummer if the waterfalls is so-so like Paningdingan Falls. To our surprise, it was worth it! 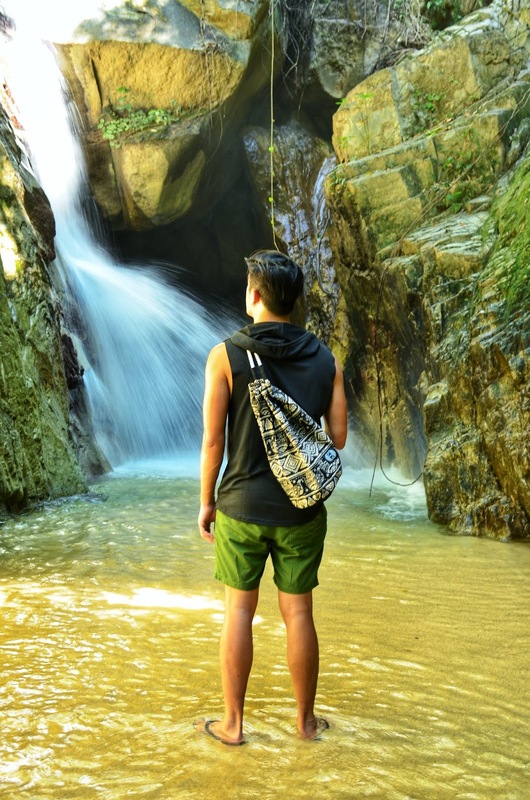 Aleman Falls: Beach x Waterfalls Experience! Have you seen a waterfalls' basin with sand on it? Literally you will walk on semi fine cream sand on Aleman Falls! It was a first for me seeing this on a waterfalls. Second tier of Aleman Falls. You can rock climb going on this spot. an exhilarating experience. With 3 cascades, all lining on the edge of the rock wall, it feels a little different from all other waterfalls I've been to. Maybe it's deformity is due to typhoon passing over the province every now and then. But the mystery is where did the sand came from. It was in the middle of the forest, miles away from the sea, and only mountains were around it. Truly fascinating!